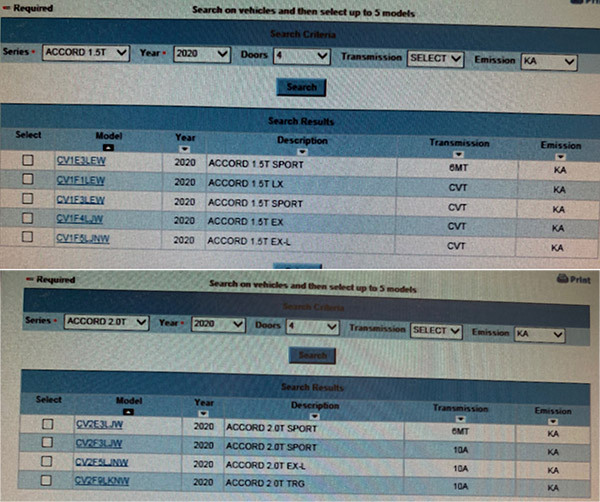 We received the following screen shots showing 2020 Accords already appearing in Honda's order system. It is somewhat interesting to see them appearing so early in the year because last year, the 2019 Accords appeared later than expected. What does it mean? We're not sure, but it could suggest that the 2021 Accord mid-cycle model change (MMC) will be released early in calendar year 2020. Good God! What to do? !